SeoSamba is a marketing hub that adds functionalities to your website, help manage multiple SEOTOASTER powered websites, optimize and market them in a snap. The SeoSamba token is a secure mechanism to link your SeoSamba account with your SEOTOASTER powered websites. A single token is used across all your web sites. This loader encrypts your website ID card and communication between your website and SeoSamba. This way no-one can eavesdrop on your data. This is a very common encryption package installed by default with many web hosting services. 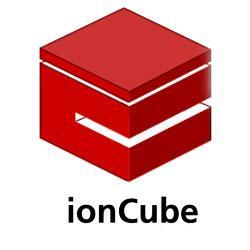 If Ioncube is not installed on your server, the following message "Can not create Api plugin. You have to install the proper loader" is displayed when trying to connect to SeoSamba from your Website ID card. During the SEOTOASTER V2 install, we do let you know whether this loader has been found on your server. If needed, go to http://www.ioncube.com/loaders.php to download the loader, or if you're in a shared hosting environment, ask your web host to load it for you. Retrieve the SeoSamba token associated with your account. Connect any number of your SeoToaster powered websites to SeoSamba by inserting this token at the bottom of the screen. That's it. Your SeoToaster powered website is connected. Welcome to the SeoSamba community where we are working hard to help you successfully market your websites. Get a comprehensive view of what plugins are running across your website network. You can also manage your plugin's monthly recurring subscriptions settings from this dashboard. No need to mess with page templates or HTML, just click and button and you're done. You can then access all your web stats from a single screen, SeoSamba also aggregates the most pertinent data for your website network. Stay tuned as we release new both free & premium cloud based marketing functionalities. Find out how to take your website to the next level of visibility with the $99/month SeoSamba premium pack; Great premium PR, marketing and unseen SEO features for 1 or 1000 websites from a single interface.